You may decide to sponsor a badge for a unit with which you, a relative or a friend had a direct connection; or you may decide to join with a group of ex-RAF colleagues to sponsor a badge together. 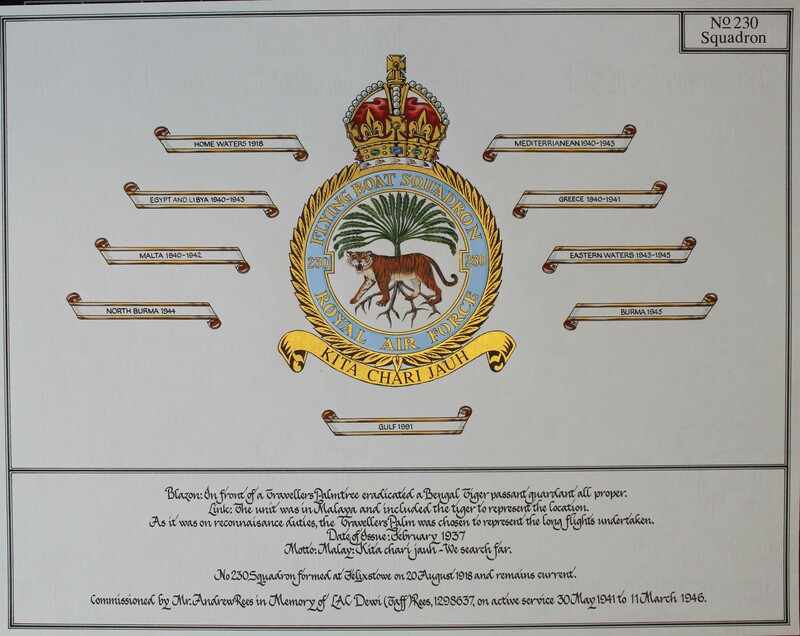 As you can see in the example to the right, for a Squadron the badge painting includes the official Battle Honours awarded to the Squadron. For all units, the lower part of the painting includes historical details such as heraldic description, motto, and date of issue of the badge, as well as the sponsor dedication. Cost? The current cost of sponsoring a badge is £135 (GBP). If the Squadron or unit you would like to sponsor is no longer available, we hope that you will still help us – by donating to one of the badges that has not yet been done. If the cost of a badge is more than you feel able to donate, then a donation of any size would be welcome.